You got your engagement ring and it’s time to get one for your wedding. Purchasing a wedding band should be a mutual decision of the bride and the groom this is the most important one you’ll make. These rings will stay with you for the duration of your marriage. Important doesn’t always mean complicated. Here are some tips that we’ve gathered to help you pick that perfect wedding band. Gold, Silver, Platinum, Gemstones or Diamonds – bringing down your options could be a bit overwhelming since all these materials are precious. Do not stress about it. Take it slow. Start by choosing a style you want – simple band, embellished, matching your engagement ring, matching with your partners ring. Try to envision this first so you can narrow down or pinpoint what is the perfect ring for you. Once decided, you can now look around shops. It’s a healthy practice for couples that as early as this phase, they can mutually make a purchase decision, especially something as important as buying s wedding band. Choosing and buying together will eliminate the surprise or shock the other will have if he/she will like or dislike it. This will also promote good decision-making skills and discovery of each other’s preference in purchasing. Once you have an idea of what a perfect wedding band is for you, do your search early. The best timeline to shop for bands would be at least two to three months. At this time, you’ll do research, consultation, shop visits, price comparison and narrowing down the last few choices before you land on the one that you want. When couples do not like the same material or style, it is recommended to have a blended one for a wedding band. Platinum and Gold Material, Classic and Modern, this can be arranged and for sure the jewelers will be more than happy to customize for you. Just remember, customization will cost more, of course. Wedding bands can cost a lot. A plain 14-karat gold ring or a simple platinum ring can cost around $1,000. If you want to add details and embellishments, the cost would go higher too. If you want personalized or custom-designed rings prepare to spend a lot. Ring Engravings usually will charge you depends on the number of characters and fonts you want, or if you want it machine or hand engraved, the later will cost more. Think about this – you’ll wear this ring every single day. Try to always remind that to yourself when choosing a wedding band. You would like something that will fit your lifestyle, nature of work and environment. You wouldn’t want a big stones and edges on your ring if you play sports a lot, or if your work relies heavily in your hands (literally), you would want a ring that’s rounded, light and simple. You wanted something unique? Your local jeweler can always help you out on having a customized band. Just take note, it will come with a higher price. If you are afraid of wearing something that will not be trendy after a few years, then better stick with the classic styles. It’s a fail-safe choice. Rings with a lot of details and stones will take more time to clean to make them sparkle and shine while the simple ones are easier to maintain. Consider this when narrowing down your options. Most people wear their rings always and rarely takes them off. The size of your fingers may change due to some factors like pregnancy, weight gain or temperature. To get the perfect size, schedule a final ring fitting at the moment when you are relaxed and you have a normal body temperature. Inspect your wedding bands. Make sure there are two marks present: one is the manufacturer’s trademark, and the quality mark. 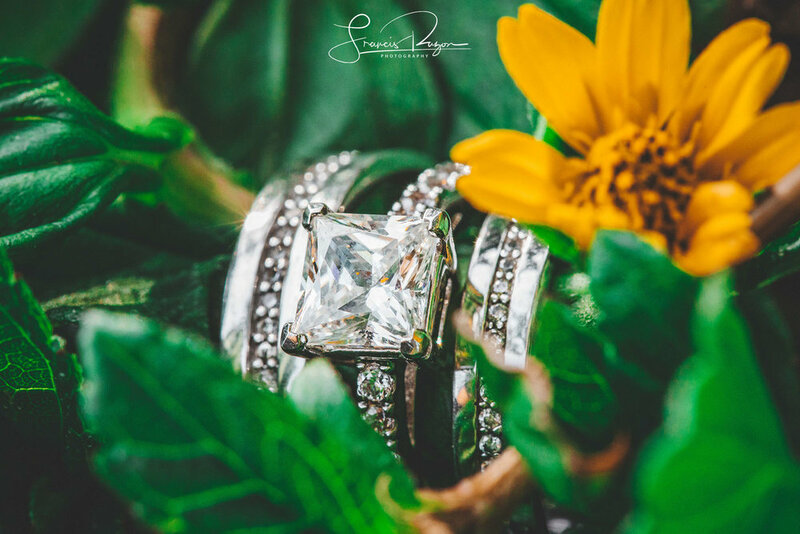 Wedding bands are not only jewelries made out of precious metals, it is also a bond that unites two people in marriage, love, and a promise of commitment that lasts a lifetime. 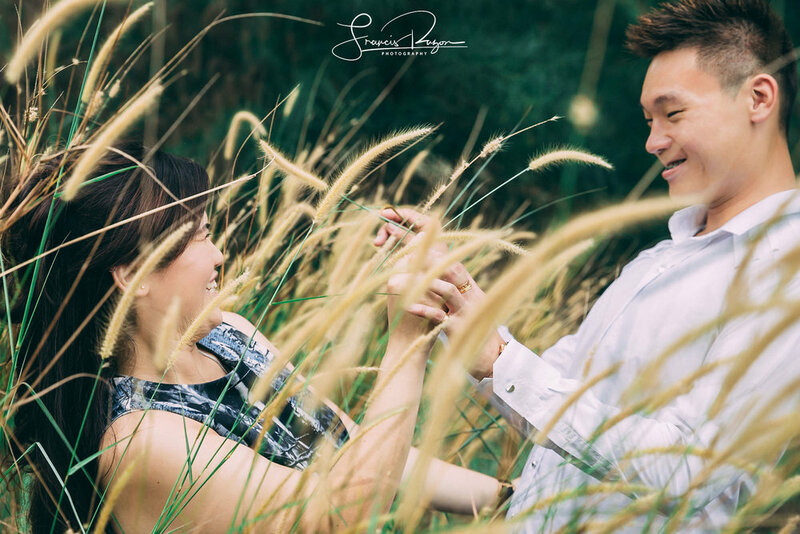 If you want lasting memories captured on your wedding day, you can check out FR Studios. We provide wedding photography, wedding cinematography and photobooth services, using top-of-the-line equipment and with our undeniable expertise, we aim to capture the happiness and beautiful story of your wonderful celebration of union and love. Engagements are indeed to be celebrated. After pleasant surprise of the proposal, and enjoying that cloud nine moment, it’s time to get serious and make smart decisions by starting your wedding plans. Here’s a guide that may help you get transitioned easily. After the engagement, everyone will start asking when the wedding is. Do not be swayed by excitement and just throw away dates that you think you want your wedding to happen. You need to consider a lot of major decision before that big day is determined (Venue, Catering Services etc.). First thing you should do is to focus on a date range that you think works. The average engagement period for couples is usually a year and a half. Also a point to consider are major holidays and conflicts in major family events that you should avoid, and of course the length of preparation you will give yourselves to plan everything out smoothly. For sure you already have a dream wedding in mind. Try to imagine that and look at it on details – the style, vibe, theme, color scheme and the likes. Find a venue that you think can hold a wedding like what you have imagined. To have a better idea of what kind of wedding you want, you can source out for an inspiration by looking it up online and checking out previous weddings and get ideas from there. · Do I want a grand or intimate event? · What wedding style do I prefer? Traditional? Modern? Classic? Glam? Unconventional? For everything to be placed, money is always involved. Couples should talk about how much they are willing to spend on their wedding. If they will sought a contribution from their families, this should be talked about and set as early as the start of planning so you can have a figure in mind whenever you are adding details to the wedding. To start your Guest List, you need to take a lot into consideration. You need to know that capacity that the ceremony and the reception can accommodate. Remember that the more guest, the bigger the budget allocation will be, so always calculate before bulking up that list. Don’t worry about looking like a gift-grabber because you won’t be. A wedding registry will save your guests from thinking on what to give you as gifts (though it is optional). A lot can be found online and you can share it to them along with your invitation or after they confirmed attendance ti your wedding. After your own proposal, it’s now your turn to propose to your bridesmaids and grooms men. It’s best to ask them early on so you can find someone else if the others won’t be making it. These people will also be spending their money and donate their time for you (in organizing bachelor/bachelorette parties, their own attires, helping out in wedding planning and more). Asking them early also shows you appreciate their time and effort. For couples who are busy and have the money to spend, it is best to hire a consultant. This may look like an extra cost, but this will save you time in planning the entire event. Another option you may want to consider is hiring an On-the-day Wedding Coordinator that will ensure that things will run smoothly on your wedding day. If you already found a venue that your wedding date matches, check if it can cater to all your preference. Once confirmed, book it right away. Early booking will give you a concrete consideration for everything that is in the rest of you wedding plans. That Local Band, Experienced Wedding Photographers and other highly recommended vendors are usually fully booked for like six months to a year in advance. Ask your friends for recommendations and check out their portfolios. Do not hesitate to reach out and ask all the questions before you seal the deal. Start looking online on what kind of wedding gown or other dresses would you prefer for your wedding day before you head to a dress salon. Talk to the designer on what kind of details you want for your dresses. They also have style catalogues available for you to choose from. Remember that the more detailed your dress is, the more expensive it’ll be quoted for.